Newly added convenience-vibratingg call alert & carrying bag: Mpow jaws can vibrate Independently when a phone call comes in. This updated version provides a hard protective carrying bag for your convenient and secure storage. Vibrating call alert can avoid missing incoming calls in case that the earplugs are not in your ears while in Bluetooth connection. Convenient shark-like magnet and please Note: the built-in magnet attracts the earplugs when you don’t need them, greatly decreasing the burden on ears and giving you a convenient storage way to carry around. Note: to protect the earbud cable from the damage of pulling force, please pinch the earplugs instead of the cables when pulling earplugs out of the shark-like magnet which can guarantee the lifespan of earbuds by using it in the right way. Hd & HiFi tunes, hands free calling: featured with CVC6.0 noise reduction technology, Bluetooth 4.1 and CSR 8635 chip, Mpow jaws filters out circuit noise to guarantee high quality sound and clearer voice for calls, you can control all functions of music and calls easily via the buttons on the headset, without reaching your phones. Up to 13 Hours Long Playtime: Mpow Bluetooth Neckband Headphones provides up to 13 hours working time, 350 hours standby time after 3 hours charge per time, then you can enjoy your long lasting music. Bluetooth V4. 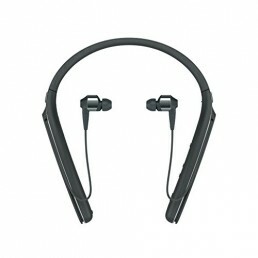 1 Neckband Headsets: Mpow Bluetooth V4. 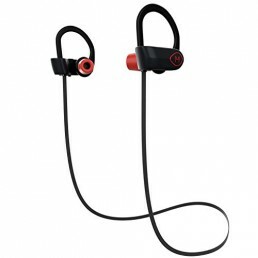 1 neckband headphones offer wider compatibility, easier pairing and more reliable connection with most Bluetooth enabled devices within 33ft (10m). CVC 6.0 Noise Cancelling: With reducing external noises intelligently and efficiently, Jaws let your every phone call persistent and clear even in loud environment. Magnetic Earbuds & Call Vibrate Alert: The built-in magnet attracts the earplugs when you don’t use them. Mpow Jaws Gen-3 Bluetooth headphones with case can vibrate when a phone call comes in and avoid missing incoming calls while the earplugs are not in your ears. 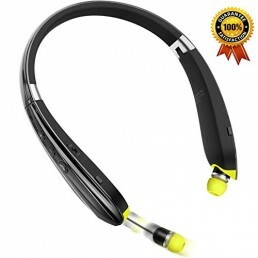 Lightweight Neckband Design & Carrying Bag: Mpow Bluetooth neckband headsets weigh only 1.2oz in flexible and durable silicone. This updated version provides a hard protective carrying bag for your convenient and secure storage. Warranty: Every Mpow product has 18 Month Warranty & 45 Days Money Back Guarantee!